Age Limit: Candidates age should be 45 years for post no. 01, between 21 to 35 years for post no. 02, 04, 05, 06, 07, 09 & 13, 38 years for post no. 03, 33 years for post no. 08, 30 years for post no. 10, 11 & 12 as on 01-04-2015. Age relaxation will be applicable as per government rules. Educational Qualification: Candidates should possess B.E/ B.Tech in Computer Science/ Computer Application/ Information Technology/ Electronics/ Electronics & Telecommunications/ Electronics & Communications/ Electronics & Instrumentation for post no. 10, A degree in Civil Engineering from a recognized University/ Institution with 60% marks for post no. 11, Qualified Chartered Accountants for post no. 13, An officer with minimum 5 years commissioned service in Army/ Navy/ Air Force for post no. 05. Refer notification for post wise qualification details. Selection Process: Candidates are selected based on Online Written exam & Interview. Application Fee: Candidates have to pay Rs.600/- for General & Others, Rs.100/- for SC/ ST/ PWD candidates through Online Payment system. 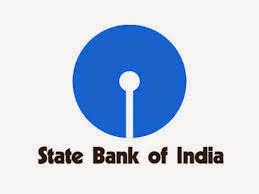 How to Apply: Eligible candidates can apply through online between 08-04-2015 to 27-04-2015 through Website www.statebankofindia.com and send Proof of age, educational qualification, Cast Certificate, OBC certificate, Discharge certificate, Registration Certificate, Experience certificate, by superscribing the envelope as “Application for the post of Chief Medical Officer/ Deputy Manager (Security) / Deputy Manager (Fire)” to The General Manager, State Bank of India, Corporate Centre, Central Recruitment & Promotion Department, Atlanta Building, 3rd floor, Plot No.209, BBR, Block No. III, Nariman point, Mumbai 400021 on or before 07-05-2015. 4. Click on “Careers with us”. 7. Click on “Click here for New Registration”, if you are new user. 8. Get registered and fill all the details & upload photo, signature and click on Submit button. 9. Make payment through online. 10. After successfully submission of online application, take a print out of the online application form and send to the address mentioned.